There’s no way to sugar coat it, so I’ll just say it: I love coffee. I love the smell of it and I love the taste of it. In the winter a hot cup of coffee warms me up and calms me down, wrapping me in its coziness. And in the summer, there’s nothing more refreshing to me than a tall drink of iced coffee. 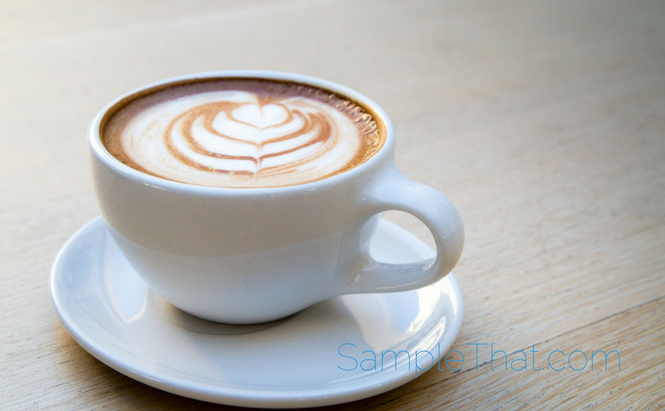 I know I’m not the only one, so here’s a free coffee sample for my fellow coffee lovers. And I always thought I should try not to drink it, feeling like my coffee habit was a guilty pleasure. Doesn’t everyone always say that coffee’s not good for you? Well, as it turns out, “they” happen to be wrong- coffee actually has a whole lot of health benefits, and I’m thrilled to tell you about them! That’s no secret, as any coffee drinker knows. How many times do you rely on a good cup of coffee to get you over the afternoon slump? And for a more effective workout, have a cup of coffee about half an hour before you exercise. Yup, you read right- coffee can speed up your metabolism and help you burn fat. Coffee drinkers were seen to have improvements in memory, cognitive function, mood, and reaction times. Antioxidants keep your immune system strong and help prevent cancer. Studies show that people who drink coffee have a lower risk of type 2 diabetes. In studies, coffee drinkers had a lower incidence of Parkinson’s disease, and in people who already have Parkinson’s, drinking coffee may help control movement. Coffee does elevate blood pressure, so if high blood pressure is a problem for you, check with your doctor. But there is a lower risk of heart disease and stroke for coffee drinkers. Drinking coffee can lower your risk of liver cirrhosis and liver cancer. As long as you don’t load it up with tons of sugar and cream, that is!